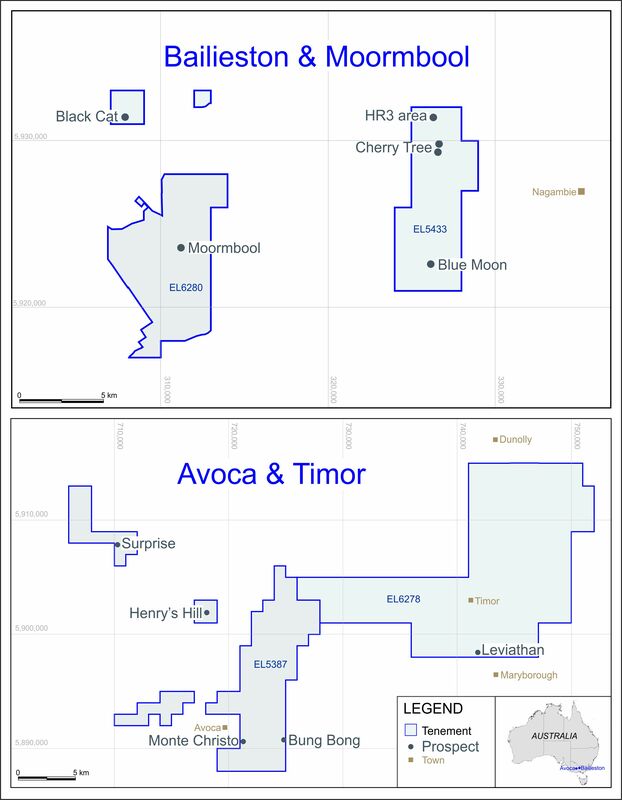 LONDON: 27 APRIL 2016 - The directors of ECR Minerals plc (the “Directors”) are pleased to announce details of immediate plans to advance the Avoca and Bailieston gold projects in Victoria, Australia. ECR’s wholly owned Australian subsidiary Mercator Gold Australia Pty Ltd (“MGA”) has agreed to acquire 100% ownership of the projects, as previously announced. In accordance with ECR’s announcement dated 11 March 2016, the Company has already arranged sufficient funding for the activities listed below, which are expected to be completed during May and June 2016. * Preparation of an economic study of the proposed reprocessing of the dumps, setting out the capital requirements and projected returns from the operation, and the timescale which would be required to reach production. * MGA plans to complete a rotary air blast (RAB) percussion or air-core drilling programme of up to 1000m (comprising up to approximately 20 individual drill holes) at the Bailieston project during June 2016, to test targets in the Byron and Black Cat areas. Significant historical drill and trench intercepts from the Byron area are tabulated below. The information in the table above is historical and therefore indicative only, in relation to the JORC Code. For more information, shareholders are encouraged to refer to the competent person’s report completed for ECR in relation to the Avoca and Bailieston projects which is available for download from the Company’s website (www.ecrminerals.com). Information regarding the projects, and the terms on which MGA has agreed to acquire them, is also available in the Company’s announcements dated 3 March 2016 and 20 April 2016. ECR’s wholly owned Australian subsidiary Mercator Gold Australia (MGA) has agreed to acquire 100% ownership of the Avoca and Bailieston gold projects in Victoria, Australia. Mercator Gold Australia is estimated to have tax losses of approximately AUD 66M as at 30 June 2015, which may be available, subject to certain conditions (as described in ECR’s announcement dated 4 December 2014), to reduce MGA’s future taxable profits. This is considered particularly significant in view of an opportunity which may exist at Avoca to establish relatively near term gold production from the reprocessing of historical mine dumps, with the potential for sale of gravel and sand by-products. A competent person’s report in relation to the Avoca and Bailieston projects is available for download from ECR’s website.